What happens when a Foundation decides to go deep with its mission and make a direct investment in a community at risk? Find out how The​ Melville Charitable Trust is doing it in Hartford, CT. When the Melville Charitable Trust bought the Lyceum building in Hartford, Connecticut, in 2003, it was making much more than a brick and mortar investment. The Lyceum, originally a gym and community center for immigrants, was located in Frog Hollow, an area near the Capitol District that was experiencing high rates of poverty, crime, and drug use, and low rates of home ownership. This purchase was a purposeful intention on the part of the Trust to go deeper with its mission, to explore in a direct way how its advocacy to end homelessness could be translated into preemptive actions to address its root causes. ​​The Lyceum evolved into a shared office space for nonprofits, including the Partnership for Strong Communities, a statewide housing policy and advocacy nonprofit founded by the Trust in 1998. “We purposely set out to create a hub of housing advocacy in Frog Hollow, a neighborhood located just blocks from the State Capitol but challenged by years of disinvestment,” explains Aimee Hendrigan, Vice President of Programs for the Melville Charitable Trust. Over the years, that hub has evolved into an ever more ambitious project. In 2005 the Trust made a second, larger investment in Frog Hollow with the purchase of Billings Forge, a property that had formerly housed Billings & Spencer, which made drop-forgings and others tools for the arms and sewing machine industries. The Billings & Spencer Company factory, located two blocks from the Lyceum, had shuttered in the mid-twentieth century, and the building had been converted to a mixed-income housing project. The Trust renovated the property along with six other derelict buildings it had purchased in close proximity. Today, the Billings Forge complex includes 112 residential units, 49 of which are designated affordable by HUD, meaning they will be permanently rented to very low income residents at a deep subsidy to market rate. Rehabbing the buildings and providing safe domiciles for its neighbors was the Trust’s first priority. Billings Forge Community Works was founded in 2007 to drive community participation and empowerment. 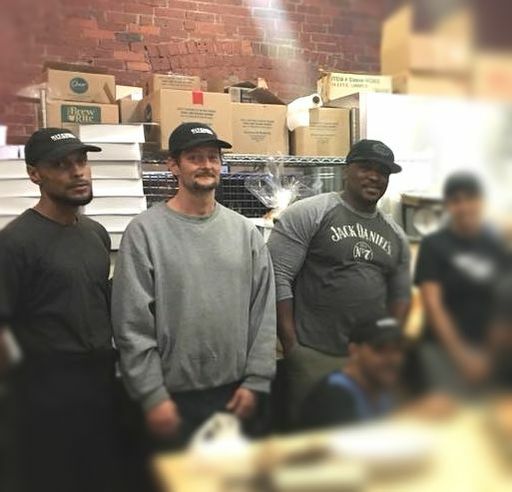 A restaurant had occupied space in the Billings Forge complex for many years, and the Trust recruited Cary Wheaton, a Boston-based serial restaurateur who was running a kitchen incubator in Jamaica Plain, to help identify a new mission-aligned operator. A Community Works' December pop-up market in partnership with Hartford Food System provides food access to community members and a place for the community to connect. Right: Cary Wheaton, Executive Director of Community Works. The Trust opened Firebox restaurant in 2007. “They were excited about what this vision could be,” Cary recalls. “This was their first community small business investment and they had never done anything like it anywhere else.” Under her management, Firebox became a profitable, farm-to-table destination, employing and training many local residents for jobs in food service. Kezner Decordova grew up in a town near Hartford, and moved to the city four years ago, after eight years of incarceration. 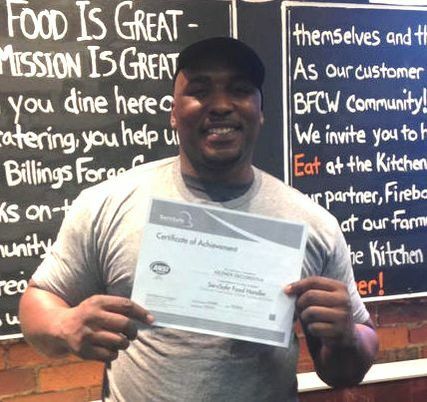 He enrolled in theBillings Forge Community Works Culinary Training program in October 2017 through a referral from the Hartford Public Library, and recently received his “ServSafe” certification. It was my big goal to get certified in food preparation so I could move up to a better job as a line cook. Community Works ServSafe is a four-month program and they help you better your resume, learn your way around the kitchen, and teach you kitchen lingo. You have to know those words so when you step into a new kitchen and chef will say, ‘hand me that 6 inch roasting pan,’ you know what that is. My interest was sparked during my eight years working in the prison kitchen. I came to like it. I liked seeing people happy after eating my meals, seeing the expression on their face. They would say, ‘this taste great, who made it?’ I wouldn’t say anything. I would just be quiet. But I liked that feeling, to see someone smile when they tasted my food. I get the same reaction now when I cook for my family. I made vegetarian lasagna, and a Hawaiian peach turkey for Thanksgiving. I made apple-glazed ham with sweet potatoes. Cooking brings love and I get a lot of love for it. I had been in a kitchen for so long while in prison, so nothing at the ServSafe program was that challenging. But if it was a challenge I embraced it. If it was a new thing I was going to learn it and learn everything. I learned to cook kosher dishes and prepare fresh fruit and vegetables, which I never had done so much before. It got me interested in vegan kosher meals. That type of cooking opens your mind up to a vast variety of styles and ways to cook. You could take that forward and start your own business or restaurant with a simple dish or entrée. My short-term goal is to get into stable kitchen work with a company in a cafeteria or college cafeteria setting, buffet style, where everyone can taste the different varieties in the kitchen. I would love to cook in a big open kitchen where you serve food and show your signature dishes. My long-term goal is to be a manager for a kitchen. I could do both fast food or a high-end kitchen. My longest goal is to own a kitchen and bring out my own food and show people my style of cooking. My style of cooking is salty, sweet sour—be it honey- glazed ham or chili apples or roasted apples and pears with chili sauce, a hot and spicy pineapple dip, or brown sugar dry rub on a steak. I would love to stay in Hartford. The direction in Hartford now is a slow pace, but it will thrive someday, and I can see myself as part of that. Jason Quinn grew up in a housing project in the north end of Hartford and experienced incarceration. He has completed the Culinary Training program at Community Works and an externship with Zest280 in West Hartford. He is currently being supported by BFCW in his search for a permanent position in the food industry. As a child I was bussed out to the Simsbury school system. I felt inadequate there about my family’s financial status versus others. I also was teased a lot by other students for being the only white kid getting off the all-black school bus. My mom took me out of the Simsbury school system and put me in the Hartford school system after I had a run-in with the juvenile court system. After attending Buckley High School in Hartford I made the decision to drop out as hanging out with my neighborhood friends grew to be more important to me. I also started selling and smoking marijuana more and the money from that proved to be too good for me to give up. For the first time in my life I could afford nice clothes and things my Mom could not afford, supporting herself and four children on welfare. Fast forward a bit, I got into more trouble and did more drugs as the years rolled by. I heard about Billings Forge Community Works while in a halfway house and applied but didn’t get the chance to follow through due to being incarcerated for a period of time. I was discharged from custody status by the Department of Correction in May 2017. I was having a hard time finding a job with all the background checks and the lack of any reasonable long-term employment history. So I decided that since I worked in the kitchens while incarcerated I would try to enroll in the Billings Forge Community Works program again and see where the training could take me. I never expected to be treated with so much respect and dignity, but that’s what I received from the staff and my fellow trainees. While there I learned proper techniques, from holding a knife properly to how to properly cut vegetables and fruits. I learned how to execute a recipe from scratch and how to cook foods at proper temperatures. There were some challenges in the beginning, like how to get along with people who compete and compare their abilities to yours. But the dedicated and caring staff at Billings Forge showed me that everything I’m doing is a learning process and to focus on my own progress and not that of someone else’ s. Those are tools that I will carry with me for a lifetime. That’s what I like best about the Billings Forge Community Works program. The life skills, advice, and directions I received there are life changing and will be instrumental in my success in the employment world. I look forward to moving on and practicing the skills I picked up at Billings Forge Community Works. The first cohort of youth (who are neither working nor in school) in Community Work's 12-week training program with Our Piece of the Pie and The Hartford Foundation for Public Giving. The program offers skill-building in customer service and food prep. ​In 2008, Billings Forge Community Works also began operating a year-round farmers’ market and community garden. Combined, the two cafés, the catering business and Firebox train 30 Hartford residents yearly and employ 75 Hartford residents. “Many of the guests at Firebox are people who live in the neighboring suburbs who might not have ventured into the city at all if it wasn’t for this award-winning restaurant,” says Aimee. “They are often served by folks who live in the neighborhood. They see it is not a charity but a functioning, high-end restaurant and surrounding it is also this social enterprise café. It is a way to get people in and see what can be done in a neighborhood that faces many challenges.” The Farmers’ Market, held on Thursdays in the summer and select days in the winter, is another opportunity for forging connections across communities. Corporations provide shuttles for employees to shop for fresh produce, and many linger at lunch tables, take a cooking class, or help plant the community garden. In 2013, the Trust sold its majority ownership in the housing portion of Billings Forge to the not-for-profit Preservation of Affordable Housing, retaining a minority stake. This has given the Trust the ability to apply even more of its resources to the culinary job training and food access programs run by Billings Forge Community Works. While the Trust, through Cary, has been strongly encouraging local corporations to take a fresh look at hiring practices, it realized it needed to intervene earlier with job training, before young people turned to crime and drugs. The challenge was an urgent one in Hartford, where 6,000 young people between the ages of 16 and 24 neither attend school nor participate in the local workforce. 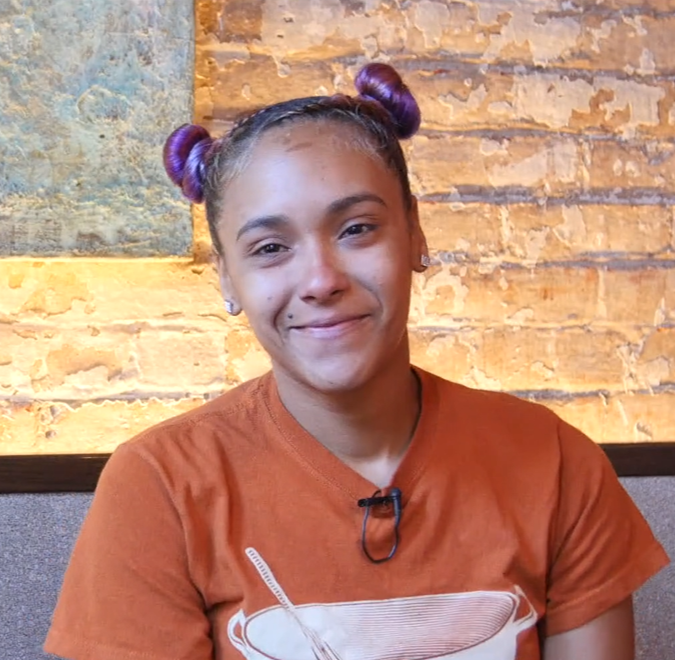 In the fall of 2017, The Hartford Foundation for Public Giving awarded a joint grant of $250,000 to Billings Forge Community Works and an organization called Our Piece of the Pie (OPP) to institute a job training pilot for these “opportunity youth.” Under the terms of the grant, OPP recruits the youth for the program, and provides them with soft skills training. BFCW supplies culinary and entrepreneurship job training within their social enterprise businesses. Through OPP, students work toward a high school degree or a GED, some through single-parent programs or other support services. All earn stipends. First graduates of Community Works' collaborative 10-week entrepreneurship program with Our Piece of the Pie and The Hartford Foundation for Public Giving. The program offers Department of Children and Families (DCF)-involved youth who are still in high school the opportunity to gain valuable job readiness and life skills while creating products to be sold at The Kitchen. 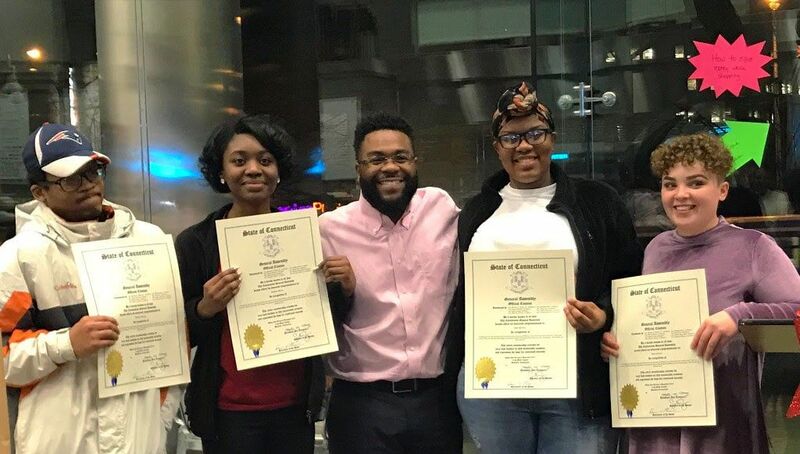 The grant also established a 10-week entrepreneurship class for Department of Children and Families (DCF)-involved youth (ages 18-22) who are still in high school. 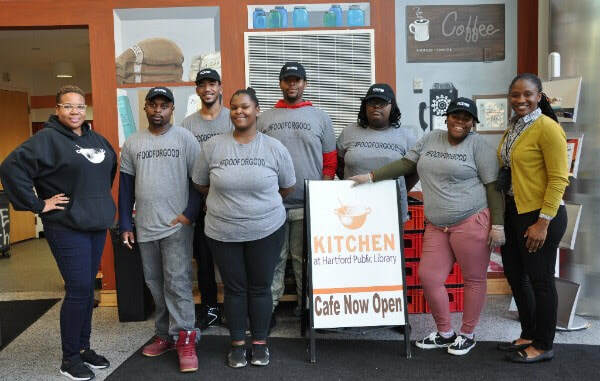 The program allows them to gain valuable job readiness and life skills while creating products to be sold at The Kitchen Café. This first group created chocolate mint cookies and pumpkin spiced smoothies. Through its work in Hartford and Cary’s social justice and entrepreneurial passions, the Trust has assumed the role of advocate, not only to get the culinary industry recognized as a legitimate path to the middle class, but also for the dismantling of the barriers to that pathway for those in challenging circumstances. Traditionally, she also reports, most workforce job training dollars have been earmarked to jobs in the healthcare, manufacturing, and construction sectors, not to jobs in the culinary trade. But what if someone’s talents and passions lie elsewhere, she asks? “Workforce development policymakers tend to think that everyone in the food sector is going to end up working at Burger King. But there are lots of other jobs in the industry that pay well.” Head cooks and chefs in the U.S. earn a median salary of $43,000 versus the median of $44,668 for all full time salaried workers in the US and can earn considerably more as head chefs. Left to Right: Vianca Caceres, a graduate of Community Works' Culinary Training Program; Kezner Decordova, a current trainee; ​and Aimee Hendrigan, VP of Programs, The Melville Charitable Trust. 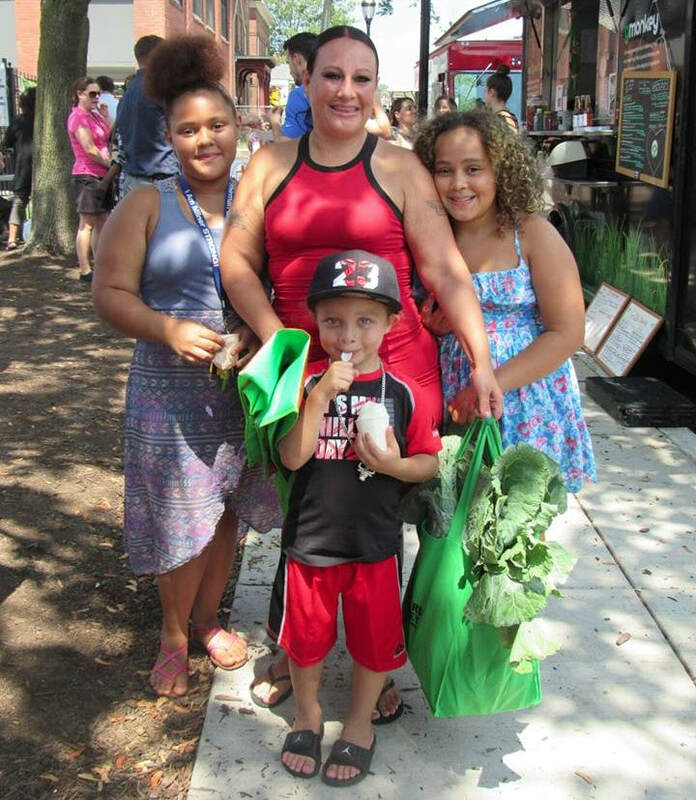 Community Works' food access programs help families like the Reardons. This past summer, Sandra learned about the CW farmers' market, which doubles SNAP (Supplemental Nutritional Program) benefits. She and her three kids were pleased to walk away with so much produce.